Wedding planning? Are you looking for wedding venues in Derbyshire? If so, look no further than JC Hotels! We believe that there is no better backdrop for your special day than the beautiful Derbyshire countryside which is why we have three stunning hotels situated throughout the county which all serve as beautiful wedding venues in Derbyshire. We offer a range of packages in all three of our hotels to ensure you get the day you’ve always dreamed of. Take advantage of our scenic surroundings for your wedding pictures and then dance the night away! By choosing a hotel as your wedding venue in Derbyshire you’re also ensuring that your whole wedding can be planned in one location, seamlessly blending from a day function, to an evening event, and it even removes the need for taxis home! This hotel is situated in Sudbury, Derbyshire and is a beautiful period building furnished to the highest standards. It has 23 well equipped bedrooms, a stylish restaurant and bar and plenty of space for dancing! It’s situated in 8 and a half acres of idyllic countryside. Choosing wedding venues in Derbyshire has never been easier! This hotel is located in Belper, Derbyshire and has recently been refurbished to give it a fresh new look. It has 22 well equipped bedrooms, a relaxed bar area, an a la carte restaurant and a brand new traditional pizza oven. We have a large function room which is perfect for weddings and can seamlessly transformed for your evening party. 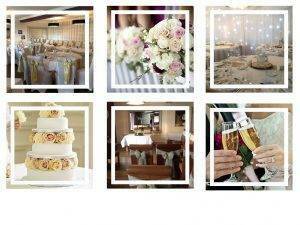 Located in Littleover our beautiful restaurant is a favourite for wedding venues in Derbyshire. Our restaurant can seat up to 100 guests (perfect for a wedding breakfast!) and then this can be combined with our Lodge Bar to entertain up to 250 guests. We’re registered for civil ceremonies and have a wide range of packages to suit your requirements. If you would like to learn more about our wedding venues in Derbyshire, then please get in touch! A member of our friendly and dedicated team will be more than happy to explain our range of packages and what our hotels can offer you for your big day! Finally, from everyone here at JC Hotels, we’d like to wish you all the best for the future and we look forward to meeting you!